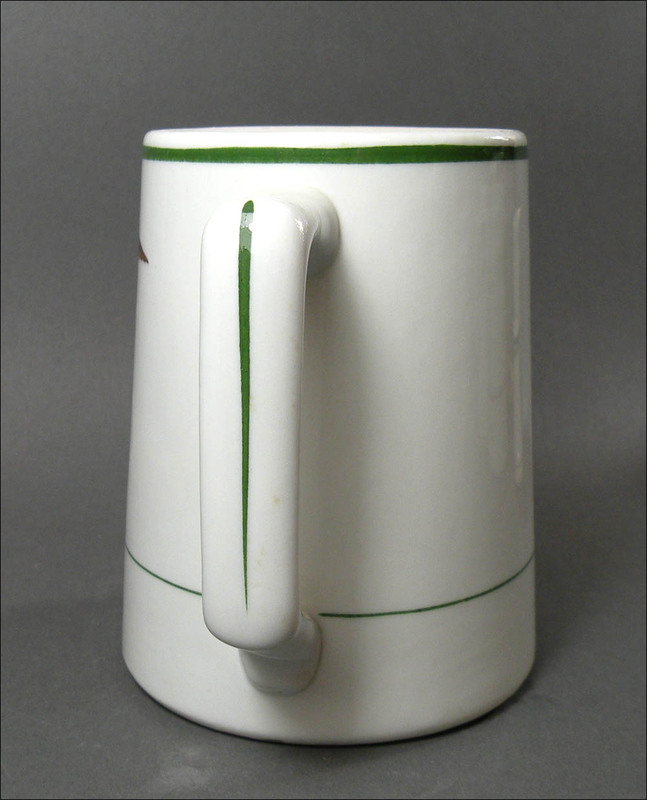 Jackson China tankards are an extremely hard-to-find shape and unlike most vintage mugs also make the perfect mug to use every day. 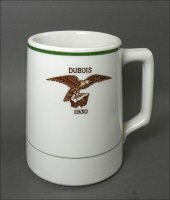 I've had mine for almost 20 years and have used it every morning for coffee since then. Its wide base makes it very hard to tip over and its tall handle makes it easy to grip. It is approximately 4 1/2 by 4 1/2 inches. 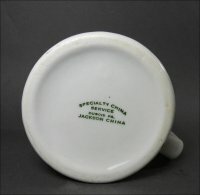 They were shown in Jackson's earliest catalog as Home Brew Mugs, featured on a page of their own as JaXon Extra Special. 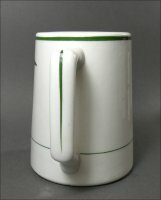 However, the same shape then appeared in the 1930-46 catalog as a tankard. 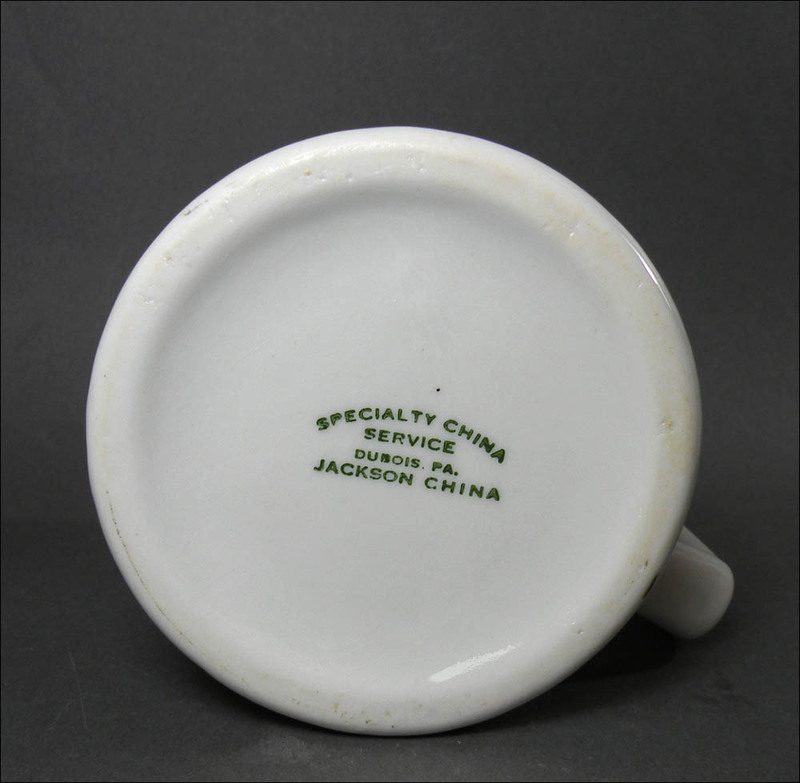 This one has only the Jackson China backstamp - not JaXon. 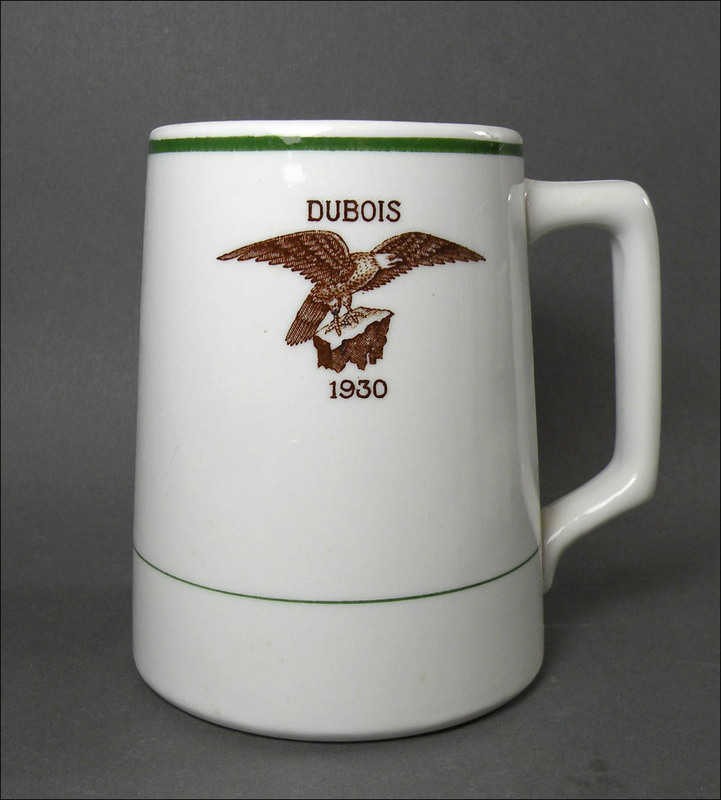 It was distributed by Specialty China Servicers in Dubois, Penn. 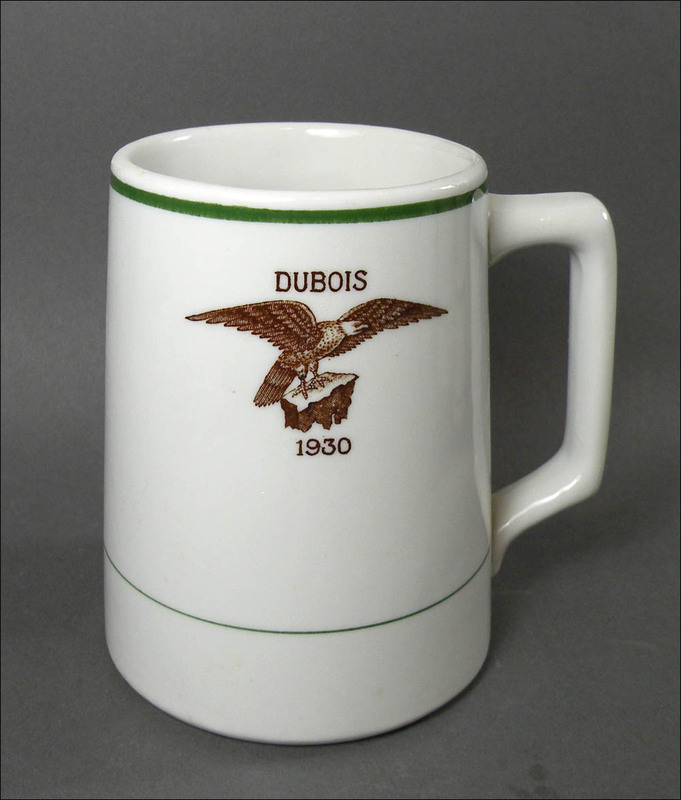 This mug with its eagle topmark was made for the Fraternal Order of Eagles, also in Dubois, Penn. The 1930 does not seem to correlate to the aerie's number, so it probably was the year it was made or that the aerie was started. 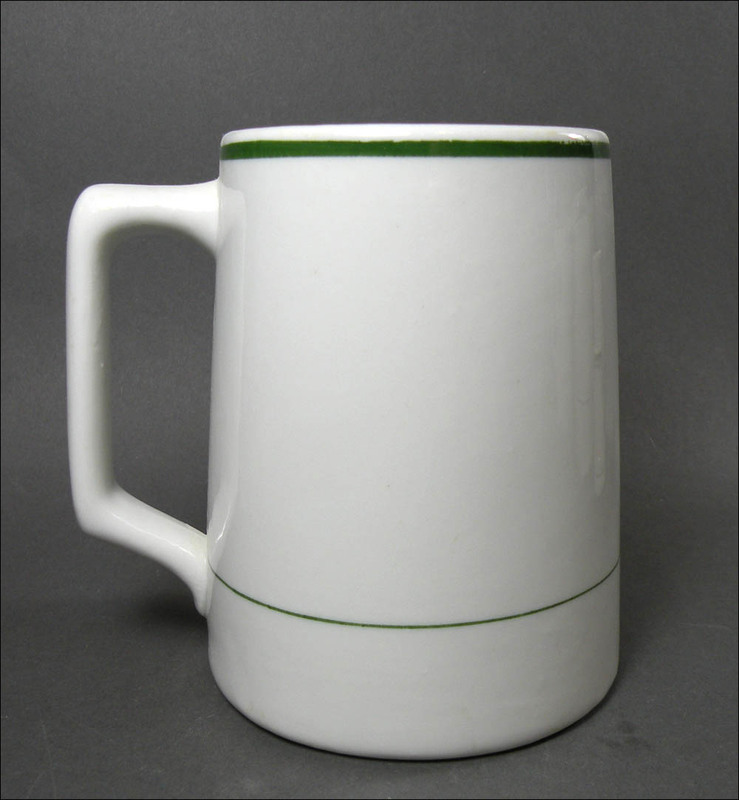 Condition is excellent with light-to-medium use marks and a slight glaze skip down the front. The glaze is shiny and bright.